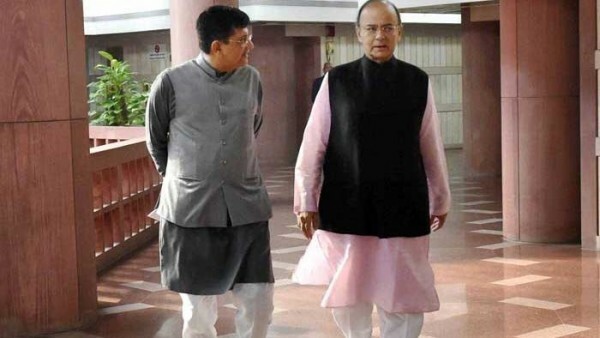 Jaitley walking the corridors of Parliament with Piyush Goyal (left). Finance Minister Arun Jaitley on Wednesday rejected Vijay Mallya’s claim that the fugitive businessman met him before he left India two years ago. “My attention has been drawn to a statement made to the media by Vijay Mallya on having met me with an offer of settlement. The statement is factually false inasmuch as it does not reflect truth,” he said in a Facebook post shortly after the fugitive businessman made the claim outside a London court where he is facing extradition trial. Jaitley said he had never given Mallya any appointment to meet him since 2014 and “the question of his having met me does not arise”. “However, since he was a Member of Rajya Sabha and he occasionally attended the House, he misused that privilege on one occasion while I was walking out of the House to go to my room. “He paced up to catch up with me and while walking uttered a sentence that ‘I am making an offer of settlement’,” the Minister said. The Minister said besides this one-sentence exchange where he misused his privilege as a Rajya Sabha Member in order to further his commercial interest as a bank debtor, he never gave Mallya any appointment to meet him.